Built in the 12th century by the monks on the hill at San Miniato, San Niccolò Oltrarno is the centrepiece of its eponymous neighbourhood, but lost many of its original art when it was renovated by usual suspect Giorgio Vasari. The 1966 flood hit it full on and succeeded in revealing some of the original frescoes in the side chapels; the best, The Madonna of the Girdle (1450) is attributed to Baldovinetti. The Romanesque crypt survives, and is said to be accessible from the neighbouring wine cellar. 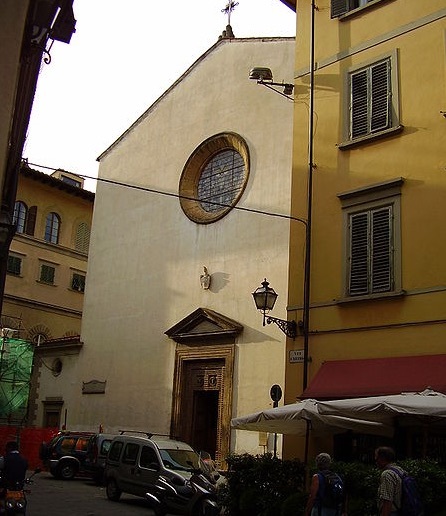 The church has famously noisy bells, and the base of its tower is a small room where Michelangelo, who had been working on Florence's defenses, hid for a few days from the Medici after the siege of 1530 (in the end they forgave him; he had been working on the Medici Chapels at the same time). The houses along Via di San Niccolò, towards the Torre San Niccolò, are among the few surviving examples of typical working class homes in the city.